After Gloria Chen fled China in the wake of pressure from that country’s government, a Midland-based organization played a role in bringing her to the United States. She expressed her gratitude on Thursday for people who support the work of China Aid. Chen had left China with her daughters after her husband, Xie Yang, was imprisoned for his work as a human rights lawyer. He was tortured while in custody and has been released, Chen said. But she said he is still prohibited from traveling freely. “I will insist on the legal right of my husband to go to the United States to come unite with us,” said Chen, who came to Midland last spring. 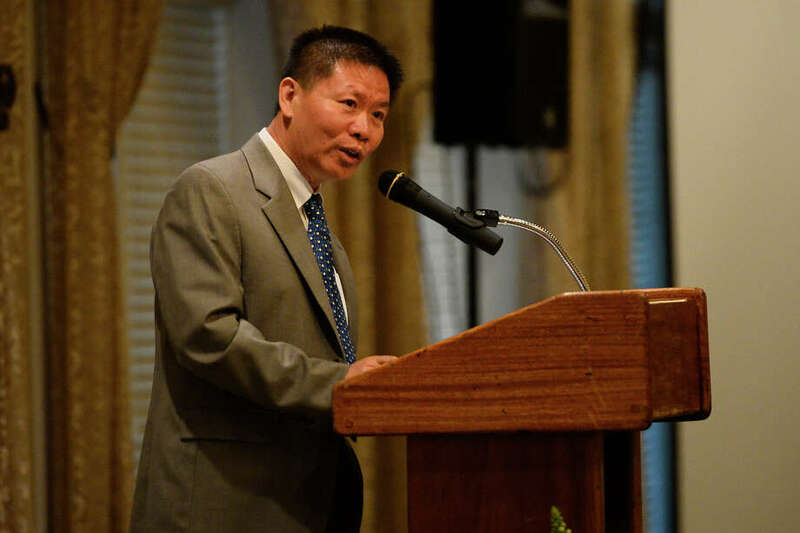 Bob Fu, founder and president of China Aid, addressed torture and other forms of oppression in his speech during Thursday’s program, called Empowering the Persecuted. Last year in China, more than 223,000 Christians were persecuted, and 3,700 of them were detained and arrested, according to China Aid numbers. Fu also cited projections that Christianity in China will continue to grow. During his speech, Fu outlined three “wars” the Chinese government has launched: those against the cross, the rule of law and children’s access to God’s word. He described how the country recently revised its Religious Affairs Regulations, which he said prohibit individual houses of worship and regulate government-sanctioned churches. Fu recently met with leaders in the United States and Europe and said he is hopeful that more countries are speaking up to the Chinese regime. Fu said China Aid has hired lawyers for people who have been imprisoned and sent counselors to people affected by torture. He also spoke about efforts to train religious leaders and deliver biblical materials. As his organization’s work continues, Fu said it couldn’t be done without support from the Permian Basin. “I think this community is so unique — it’s a strong faith community, but also it’s a unique community that has a history of dedication to support justice causes, religious freedom and human rights around the world,” Fu told the Reporter-Telegram. Chen, who didn’t have any money when she came to Midland, said China Aid helped to pay for her family’s food and clothes. She also shared with banquet attendees examples of people who stepped in to help her family adjust.